Don’t wait more…. Visit the website hobie2019larochelle.com, and register for the MultiWorlds Hobie and Dragoon,Europeans Hobie 16, the Wild Cat Championship and the Tiger International Cup! The Société des Régates Rochelaises (SRR) (srr-sailing.com) is working hard to offer you a great event in one of the most authentic and beautiful place in the southwest of France: La Rochelle. 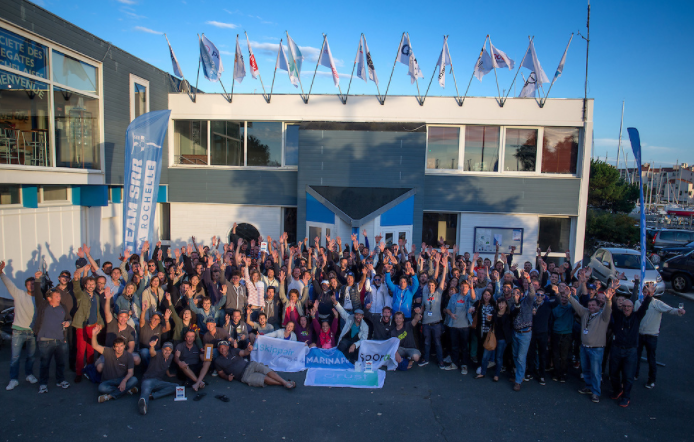 From the 17th to the 27th of July 2019, the famous Harbour of Les Minimes will welcome all Hobie sailors for the MultiWorlds Hobie 14 and Dragoon and the European Hobie 16. A Tiger International Cup and a Wild Cat championship will be also organised (if conditions required by the article 10.4 (b) of the World Sailing Regulation are fulfilled, the Wild Cat championship will become a World Championship). For Hobie sailors and Hobie 16 sailors… don’t have any hesitation: you can participate to both events! For Hobie 16 youth and Hobie 16 sailors…don’t have any hesitation: you can participate to the youth European championship, and then participate to qualifications for the Hobie 16 Open! We are waiting for your! To spend a great time in La Rochelle during the event, benefit from special offers from the SRR’s partners for your accommodation, and come with your family: you can find all activities for all ages (visit the Aquarium of La Rochelle, visit Towers of La Rochelle, discover the Sunday market in the old town, Discover beautiful islands as Aix and Ré…). Have a Hobie Day…. and see you soon in La Rochelle!